My favorite night of the week is always pizza night. We started our pizza night tradition about two years ago and my girls look forward to it every week. They ask all week, "is it Friday yet?" This week for pizza night, my husband was just getting back into town after traveling to Florida so he met us at one of our favorite local spots, Bill's Pizza Pub. It's nothing fancy but the food is amazing. 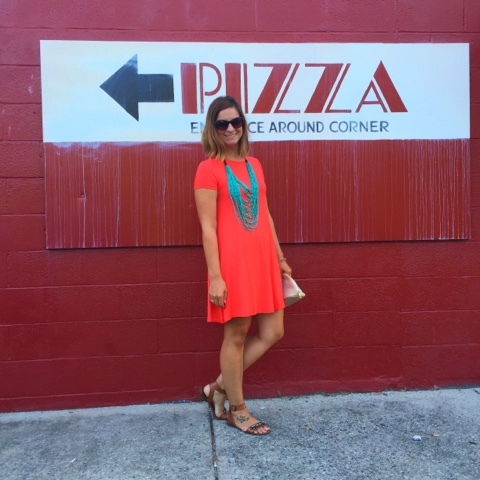 Oh and I would recommend wearing a swing dress to every pizza night. 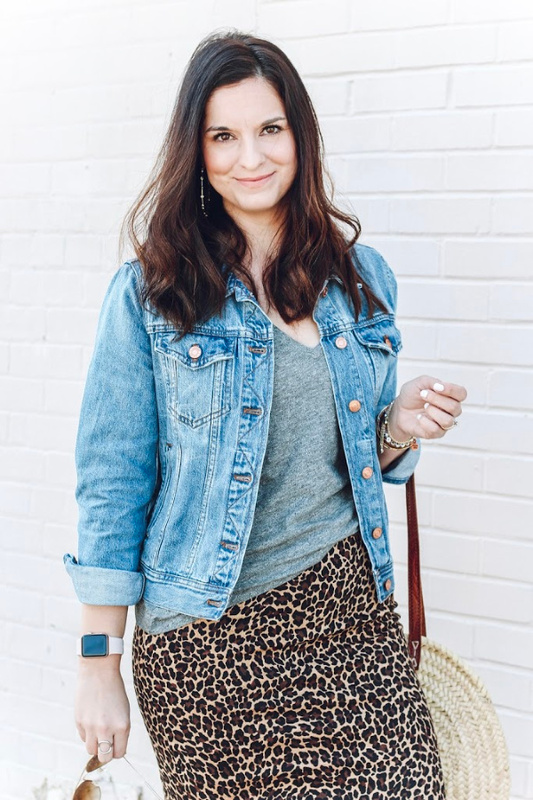 So comfortable and simple yet so stylish. 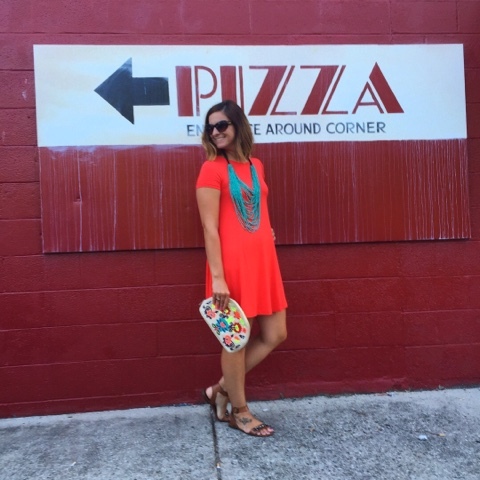 Swing dresses are my BFF, especially since I love pizza.